Car and motorcycle manufacturers and suppliers are confronted with high process complexity, shorter technology cycles and steady pressure to innovate. Trust your equipment. Reliable products by a trustworthy partner are key in successful manufacturing in an industry with heavy regulations. Quality is our greatest asset. We check our product quality according to strict guidelines and regulations. This way, we ensure that our products stand the test of time. Our customers know that we are a trustworthy partner who offers holistic toolholding solutions and individual technical support. 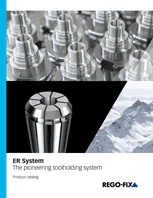 Efficient, safe and precise machining thanks to the high-quality ER products from the inventor of the original collet chuck clamping system. 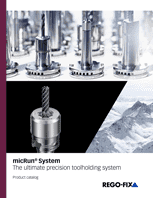 With a clamping range starting at 0.2 mm and a system runout of less than 3 μm, powRgrip fulfills all performance requirements for professional machining.